CLEVELAND (June 3, 2016) – The maker movement is gaining momentum across the country, and to celebrate, makers, institutions and other groups that embody the inventive spirit and creative attitude of the movement will launch the National Week of Making from June 17-23. To be a maker all you need is the urge to solve a problem and the tools to make your own solution. 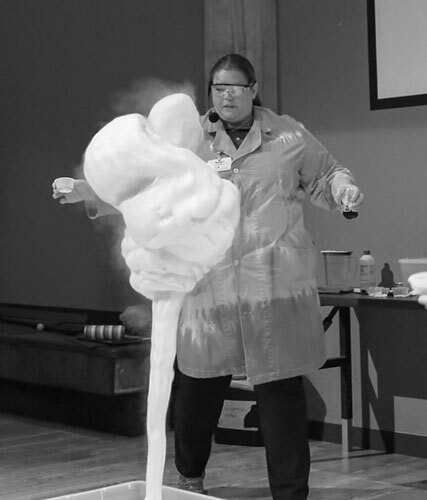 Great Lakes Science Center invites guests to experience what it’s all about during the Week of Making with hands-on activities, “community build” projects, technology demonstrations and lots of creativity and fun. Each activity for the week will be ongoing during regular hours, Monday through Saturday 10 a.m. to 5 p.m. and Sunday noon to 5 p.m.
One of the key pieces of technology fueling the maker movement is the 3-D printer. Guests can watch a tabletop demonstration of the Science Center’s 3-D printer in action as the staff makes plastic charms in the shape of Ohio with a raised heart marking the location of Cleveland. Guests will learn how 3-D printer technology is helping solve problems on Earth and in orbit onboard the International Space Station. In the Science Center’s central maker space, the Cleveland Creates Zone, guests can channel their creative side and tackle a number of design/engineering challenges including making and testing a parachute, building and launching a rocket, constructing and racing a LEGO car, and special for the Week of Making only, creating and designing a hat using fabric, duct tape and their imagination. Two collaborative “community build” projects will give guests further opportunities to display their creativity. One of the projects will allow contributions to a structure that will be worked on all the way through to the Republican National Convention in July. Starting during the Week of Making, guests can participate in the construction of a giant American flag, adding onto it in phases that will result in a flag that plays music, lights up and represents all different corners of the United States. Using a variety of red, white and blue materials, guests will begin during Phase 1 by designing and cutting out a depiction of their home state or favorite part of the country and attaching it to the giant flag template. The following week, during Phase 2, guests will learn about circuitry and electricity as they add LED lights to the flag. In Phase 3, in the week leading up to the RNC, guests will try their hand at programming and operating robotics as they make the flag come to life with dancing lights and music. Guests will also be able to design and build collaborative components that they can add to a “Cardboard City” that will be on display during the RNC as well. 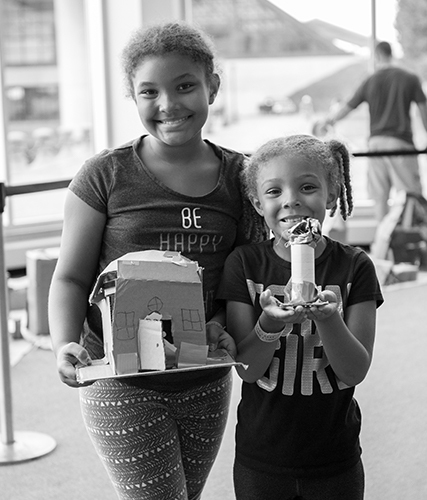 During the Week of Making, a work station stocked with cardboard, duct tape and other supplies will be open on the lower level of the Science Center that will allow guests to tap into their inner architect and build a house, school, library or any other structure they can devise, and add it to the Cardboard City. All of the Week of Making activities are free with paid admission to the Science Center. The Science Center has resumed its summer operating schedule and is open seven days a week through Labor Day weekend -- Monday through Saturday 10 a.m. to 5 p.m. and noon to 5 p.m. on Sundays. Fall operating schedule resumes once again after Labor Day weekend. The Science Center will be closed for cleaning and maintenance from September 6-16. Great Lakes Science Center, home of the NASA Glenn Visitor Center, makes science, technology, engineering and math (STEM) come alive for more than 300,000 visitors a year through hundreds of hands-on exhibits, traveling exhibitions, OMNIMAX® Theater, Steamship William G. Mather, daily science demonstrations, seasonal camps, family workshops and more. We know the value of using real scientific challenges to encourage curiosity and experimentation. And we remain committed to developing the collaborations and community partnerships needed to stimulate innovation, improve STEM education, and cultivate the creative, critical thinkers who will shape the future of Northeast Ohio. Discounted parking is available for guests in the attached 500-car garage. 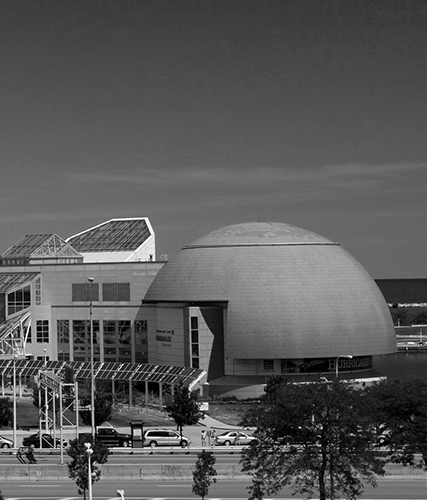 Great Lakes Science Center is generously funded by the citizens of Cuyahoga County through Cuyahoga Arts and Culture. Visit GreatScience.com for more information.